Peking Duck Tacos. Sake on Tap. Ample Ramen. We’re feeling good about it, too. But before we go our respective weekend-ways, we’ve got some important ramen-related intel to discuss. 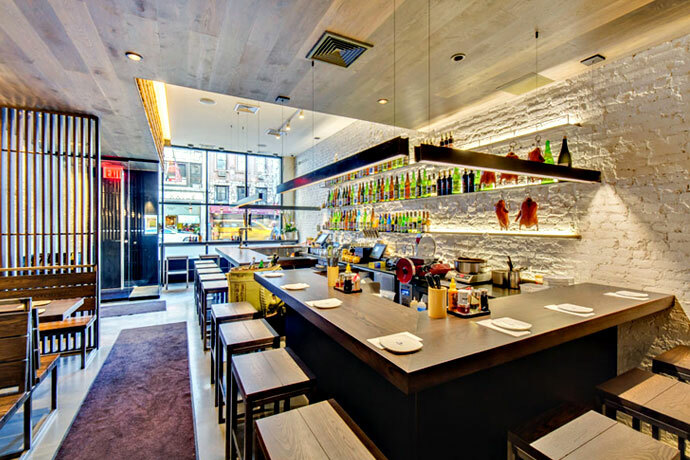 So here’s Momosan Ramen & Sake, a relaxed ramen-and-sake spot from none other than the Morimoto. 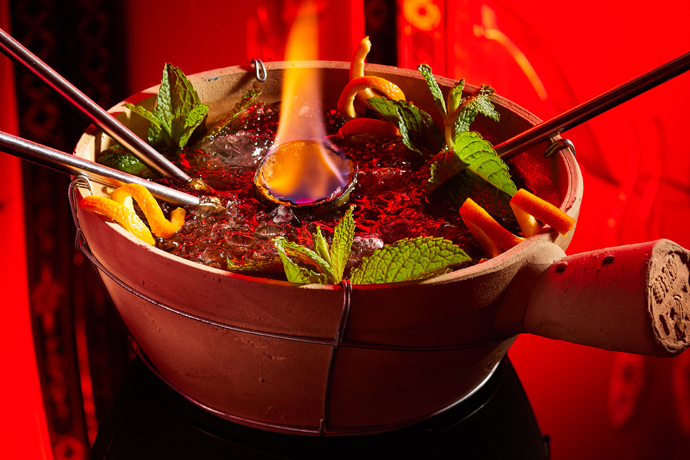 The doors fly open tonight in Murray Hill. It’s pretty small and pretty casual. Whitewashed brick walls. Dark wood. Communal seating. Classic ramen spot. Bring a couple friends or a pretty casual, pretty small date. To start, your non-ramen options are solid. Fried-gyoza-and-Peking-duck-taco solid. He’s also got his own version of bibimbap that involves sizzling crispy rice in a stone bowl topped with pork and egg yolk and sweet chashu sauce. To continue, there’s ramen. There’s so much ramen. You’ve got 13 sakes on tap. And more not on tap.